We love cool condo amenities quite a bit. We’ve made that very clear with our big plans for 1 Yorkville. Our newest Yorkville building will have a 14,000-square-foot expanse devoted to a spa, open-air pool and hot tub – which we’re confident our residents will love. Then there’s the wellness centre which has water massage tables, a sauna, steam room and an indoor-outdoor relaxation space. And that’s not all, we have an outdoor screening facility and a CrossFit studio, amongst other neat amenities. At Kimpton Hotels, they totally understand exactly how jet lag feels and that’s why they have a yoga basket waiting for their guests to peruse. It comes with a mat, props, straps and blocks, and guests can take the basket right up to their rooms and order yoga on demand on their TV. It’s a complimentary service. Mothers, plan your trip now! At the Keswick Hall in Virginia you can have your very own baby butler who is at your beck and call. They’ll warm up baby bottles, bring you a rocking chair and a personalized crib and even rock your baby to sleep at night! 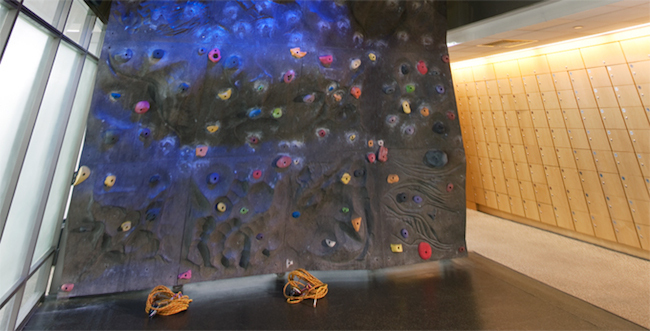 At 10 Hanover Square in New York City, there is a rock climbing wall. It’s housed in the 30,000 square feet fitness center and is about two-storeys tall. We’ve heard of on-site manicurists and on-site dog groomers, but an on-site genealogists? Make that two who are totally available at the Doonberg County Clare in Ireland. Not only will they help their Irish guests trace back their ancestral lineage, but the genealogist will also coordinate visits to their respective ancestral villages, too! 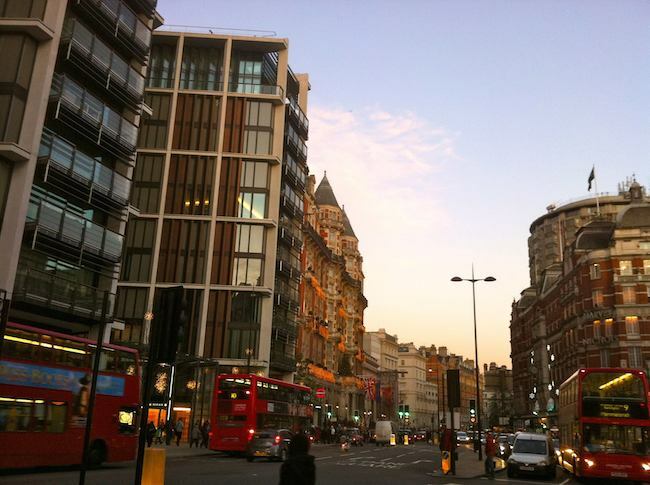 One Hyde Park is a high-end apartment building in London with the usual luxurious amenities like a pool, fitness centre, movie theatre, etc. But what really sets it apart is an underground tunnel so that food from the Mandarin Oriental is delivered right to your doorstep. What is your favourite unique and cool building amenity? What would you like to see in future Bazis building? We’d love to know!